Voted BEST BAND in Lake of the Ozarks 2017, 2018 & 2019. Best Band in Missouri 2018 & 2019! We welcome you to The i-Berrys Band site! In case you haven't seen them live, The i-Berrys are a 9 piece regional band based in Osage Beach, Missouri. The music & the show is unlike anything you've ever seen before & quickly becomes a favorite with every audience! Come along for the ride! AYE! 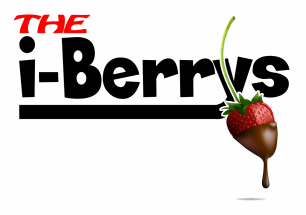 I have had the pleasure of seeing The i-Berry's perform several times...They are masters at getting the audience engaged with their high energy performance. So looking forward to them performing this year at the Ozarks Amphitheater. I can’t say enough good things about The I-Berry’s! They were our band for a fundraising event and the crowd loved them. They were easy to work with, very professional, timely, and put on a great performance. We have already booked them again for next year’s event. As the owner of The Kilt & Clover Restaurant & Pub, hiring The i-Berrys has turned out to be one of the best business decisions I have ever made. When The i-Berrys play at the Kilt, they actually become the host, entertainment, and very "heart" of the establishment. The night always becomes an amazing celebratory event, and everyone in town shows up because they know they will love the show! We always book them half a dozen show dates at a time! The first time we had this band at our bar, we blew away our record for attendance. So much so, that we are expanding the bar to accommodate the fans these guys have! They will definitely be back! Absolutely amazing show! The 2 largest crowds we ever had in the history of the bar...were both nights The i-Berrys played! People just love this band! The busiest day we ever had at The Winery, and our customers did NOT want it to end! We are so booking these guys more! We bring in The i-Berrys to fill a non-event night! They always make it an event and fill the bar! My favorite! We always have The i-Berrys play our big 4th of July Fireworks show and they always put on a great show! Super Fun Band! One of the largest "local" crowds ever....and it's because The i-Berrys played. Very professional people to work with! The i-Berrys outside concert in the parking lot for Oktoberfest! Weather sucked and people STILL came to see em! Great band to kick up our Sunday Nights! High energy group - professional sound - and the crowd loves em! No kidding everyone...these guys ROCK! If you are needing a GREAT band for your venue, you just found them!